Pen tests are a key part of any security apparatus, but the needs of rapid software development these days is far outpacing the results of periodic pen tests. The typical pen test methodologies are also falling behind the increasingly innovative methods used by criminals. As a result, many organizations are using a large and diverse set of hackers to search for and report security vulnerabilities. 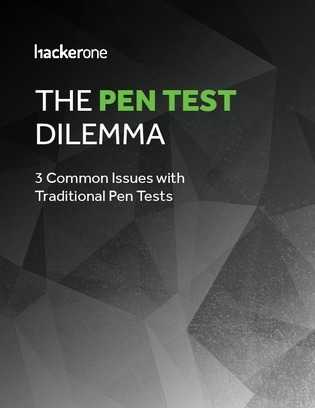 In this white paper, learn about 3 common issues with traditional pen tests and how your organization could benefit from conducting hacker-powered pen tests instead.